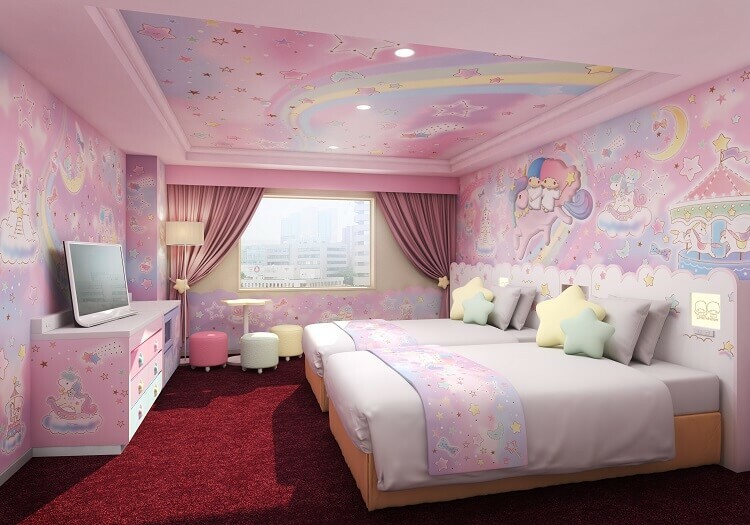 On Saturday 15th June 2019, Keio Plaza Hotel will set up two new permanent guest rooms that are themed around “My Melody” and “Little Twin Stars (Kiki & Lala)”. Four Hello Kitty Rooms have already been set up since November 2014. 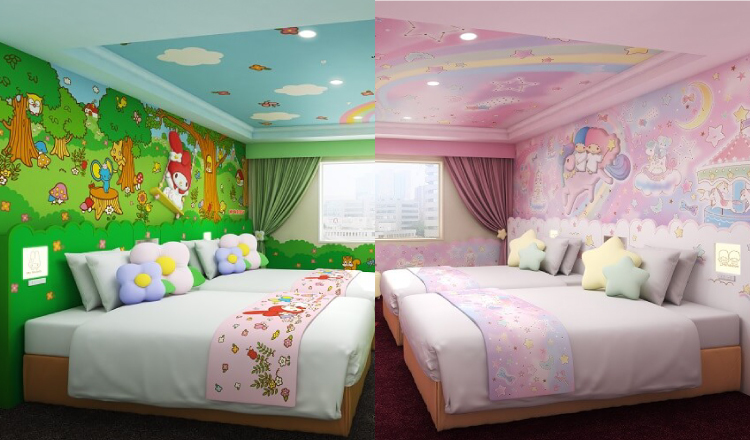 There will be a total of eight Sanrio Character Rooms available at the hotel. Bookings for the “My Melody Room” and “Little Twin Stars Room” will be accepted from Monday 15th April. This room will make you feel as if you are playing with My Melody and friends in the forest! 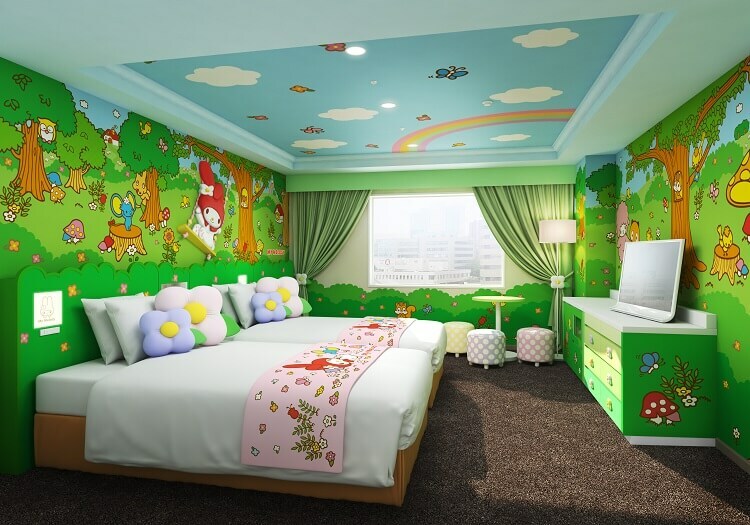 The “Little Twin Stars Room” depicts an amusement park above the clouds where twins Kiki and Lala can be seen playing. The curious and slightly hasty Kiki and the timid and sensitive Lala arrive at the amusement park by magic unicorn. Lay your head on the star-shaped pillows on the bed and enjoy the pink room theme that creates a wonderful fantasy world. Come enjoy the feeling of playing with Kiki and Lala in an amusement park above the clouds!